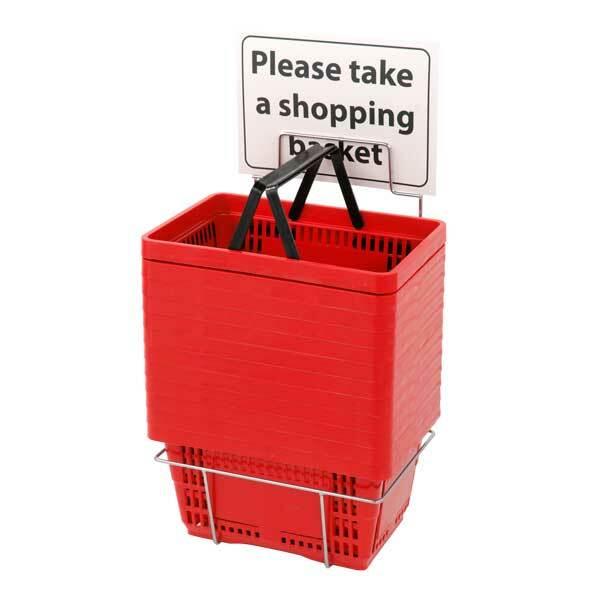 These sturdy redplastic shopping baskets have comfortable black plastic handle for easy carrying. 50 lb. weight capacity. Set of 12 blue baskets with stand. Sign sold separately, search item 8524. 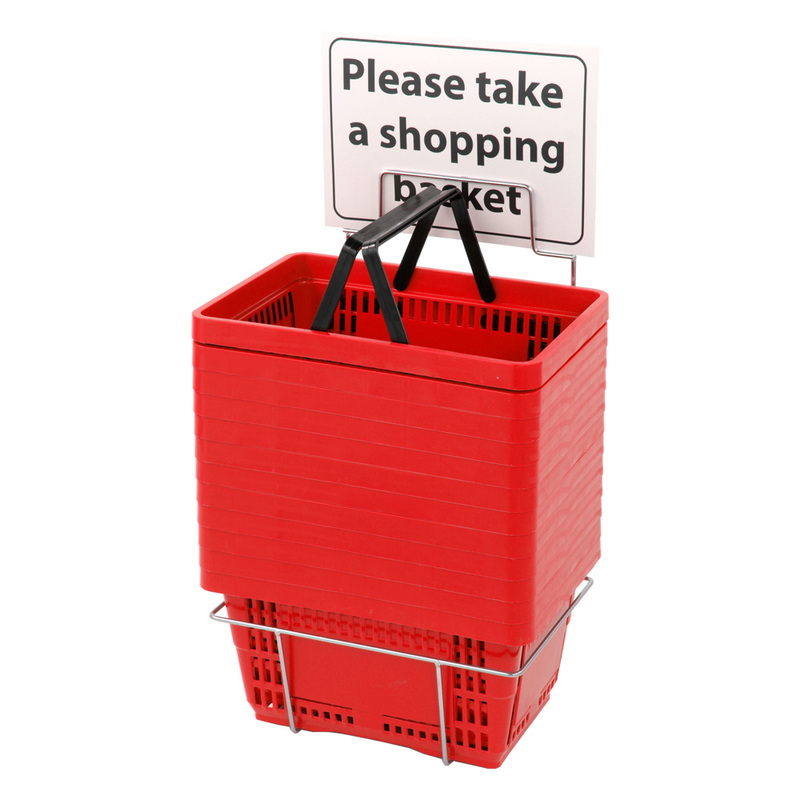 For even more pieces, we invite you to take the time to look through our extensive assortment of shopping baskets at Specialty Store Services now.